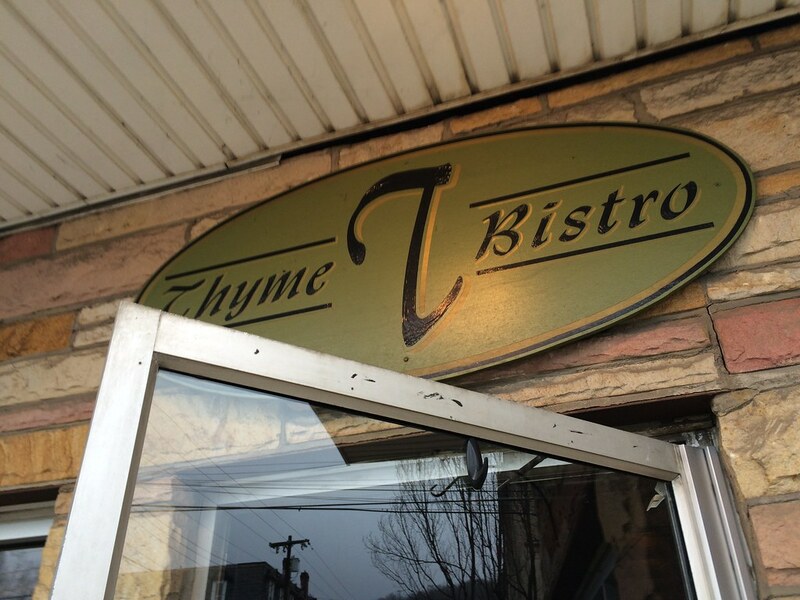 Thyme Bistro, a small Weston restaurant, caught my attention a couple months back after hearing the Cast Iron Chef Cook-Off earlier this year. 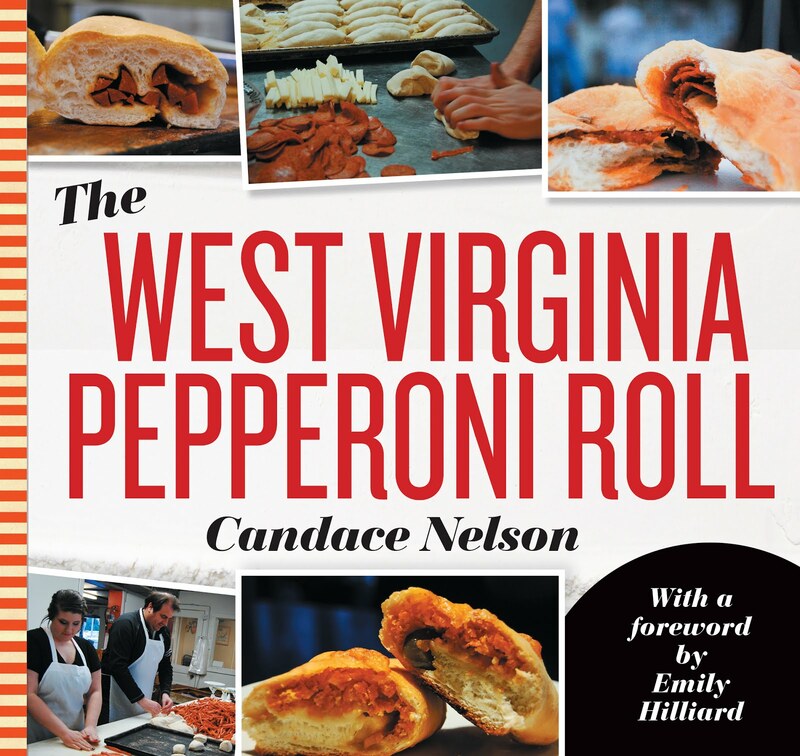 I put it on my to-visit list, and when the opportunity arose recently to head to Weston, I already knew where my dinner plans would be. The Thyme Bistro doesn't look like much from the outside. It looks like an average corner restaurant, but once you walk inside, it's a completely different story. Dark decor with candles and fresh flowers atop every table fill the small dining area. It's warm, comfortable yet sleek. 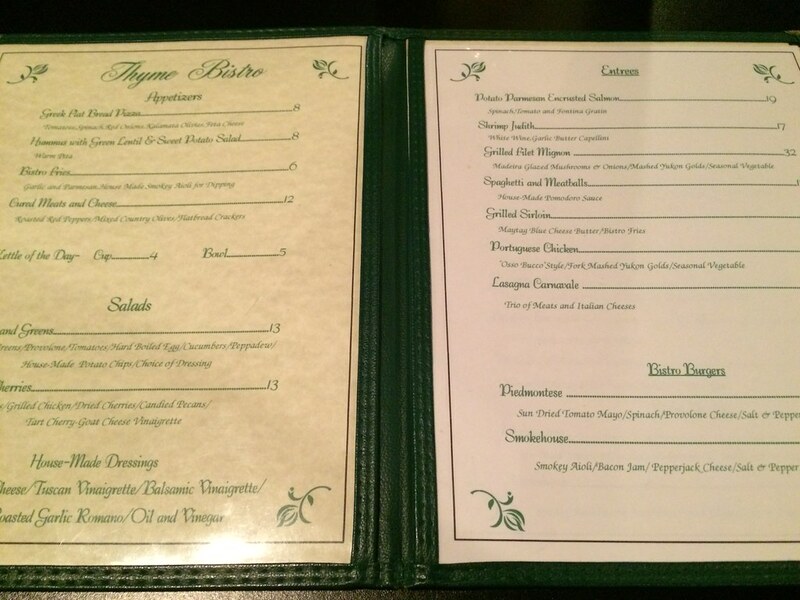 The menu is small with a few entrees like a potato parmesan encrusted salmon, shrimp judith, filet mignon, and pasta. To start, though, we wanted to try the "bistro fries," which are garlic and parmesan fries with a smokey aioli for dipping. They were tasty! 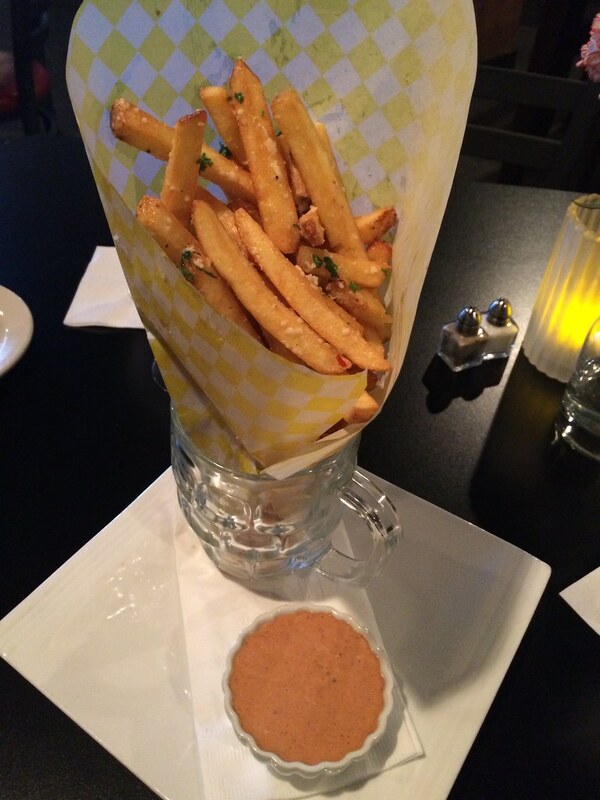 They were served standing up in a glass mug, and the tower of french fries were topped with garlic and parmesan. Wonderfully crispy, and the smoky aioli sauce was unexpected and tasty. 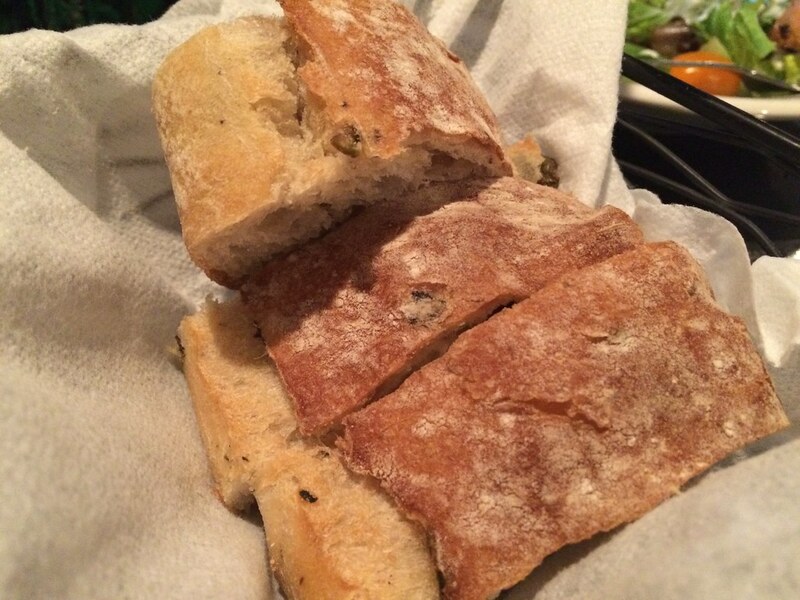 We also had some olive bread (!) delivered to our table prior to our entrees. It was warm and nuzzled in a cloth napkin to keep the heat in. It's the little touches like this that really stick out to me after visiting so many restaurants. The thick cuts of bread went perfectly with a slather of butter. So tasty. The next course was my house salad. And I really, really love a good house salad. Greens > iceberg. Flavorful tomatoes > watery bland ones. 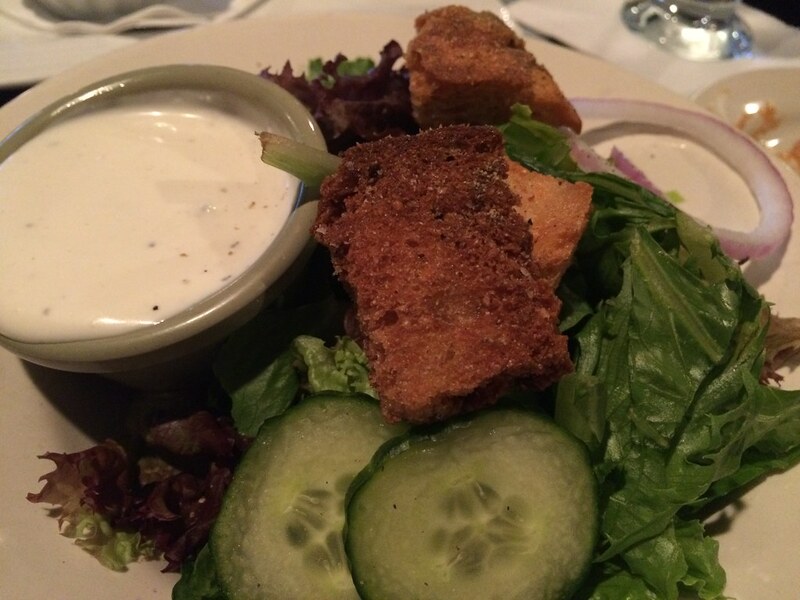 This salad had some delicious, fresh greens, tomatoes, cucumber, red onions and housemade croutons. All topped with a homemade blue cheese (in my case) dressing. 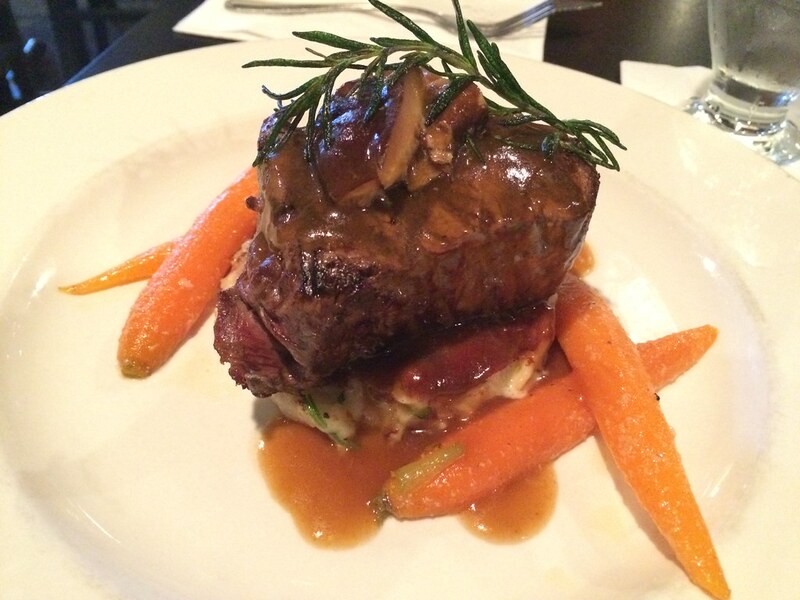 For main entrees, Vicki went with the filet mignon, which she loved. It was tender and flavorful. 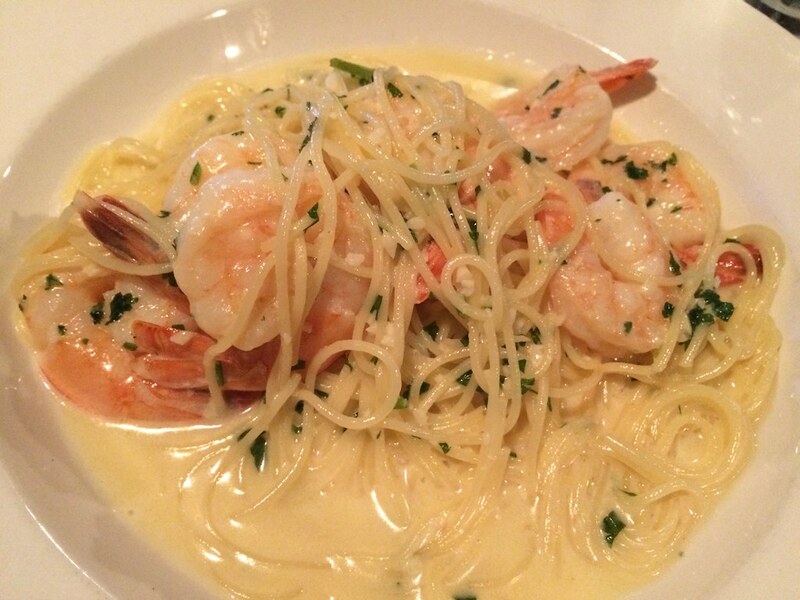 My shrimp judith was not quite as bold with flavors, but the light and buttery flavor was perfect for my mood. 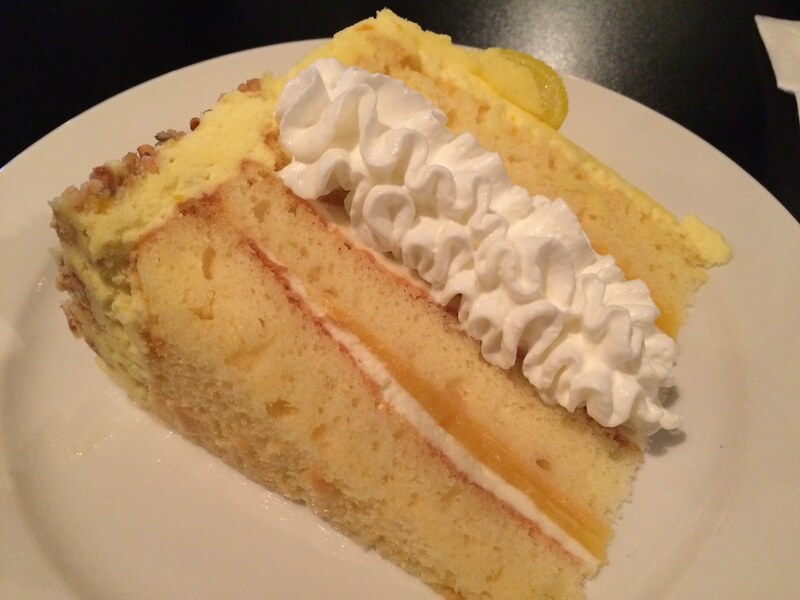 Because I didn't feel super heavy from the main meal, I decided to order dessert. To be honest, I cannot remember what they called this, but it was a lemon cake with these delicious like candied nuts and whipped cream and a candied lemon. It tasted like summer exploded in my mouth. In the best possible way. 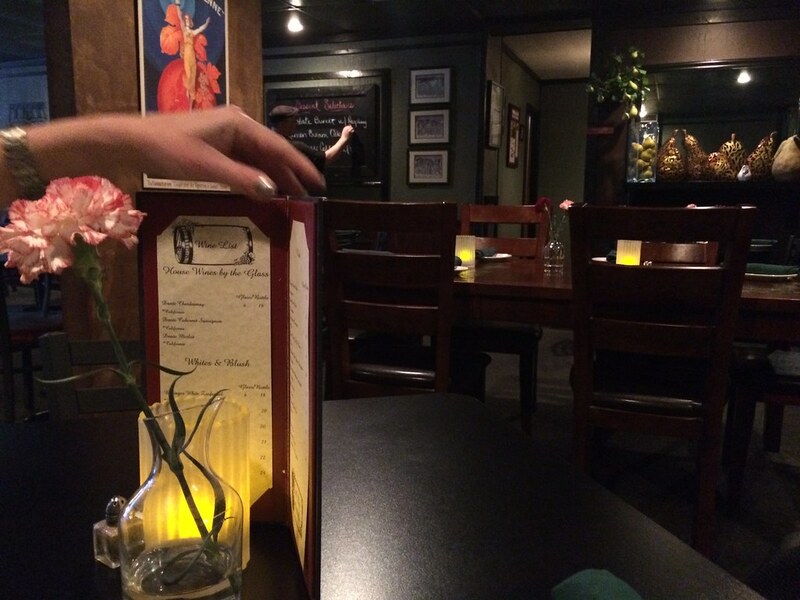 If you find yourself in Weston, Thyme Bistro is really quite the treat.